CT Engineering exhaust systems are manufactured using CNC machined flanges and mandrel bent T-304 stainless steel tubing. 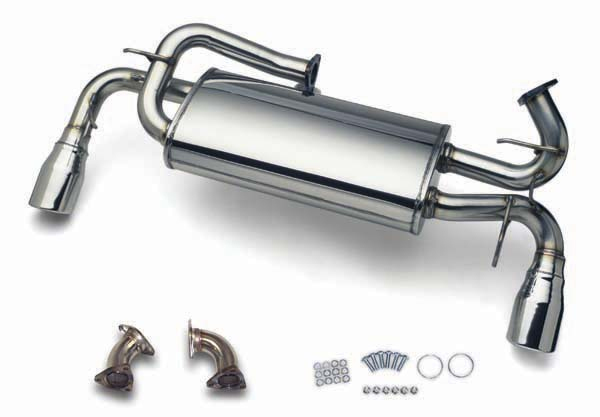 All mufflers are polished stainless steel with a polished stainless steel resonated tip and have been tuned to give a deep aggressive exhaust note, without being too loud. At CT Engineering, they recognize that properly tuning a vehicle to improve its performance involves more than grabbing a part off the shelf and making it fit your car. As an Acura and Honda owner, you have a unique opportunity to enhance the performance of your vehicle using the same technology that they have developed exclusively for the refined street enthusiast. CT are confident you will find their products meet your strictest standards.